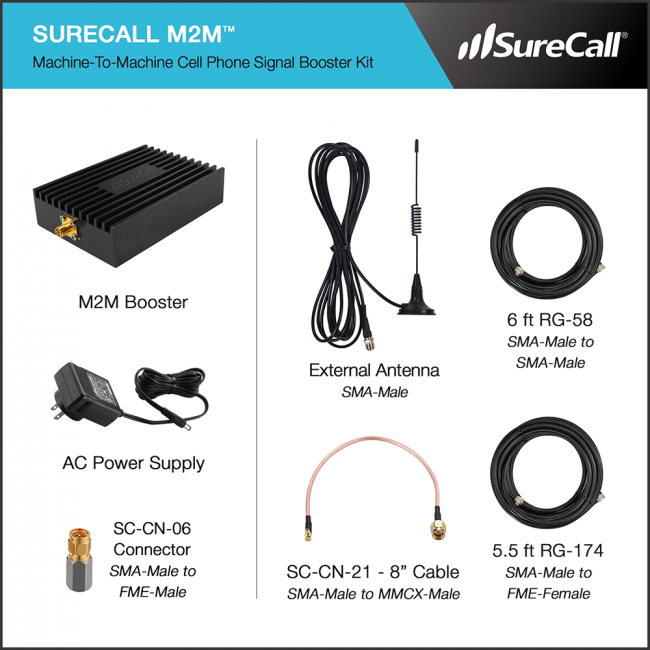 The SureCall SC-SoloI-15 Direct Connect M2M Signal Booster Kit is a machine to machine signal booster that is designed for situations where you have a machine, such as ATMs, remote gate openers, security systems, etc., that needs boosted signal funneled directly to it. Each kit includes everything that you need to quickly and easily install the system, but if the machine that you're boosting signal for does not have an SMA connector, then you may need an additional adapter. The booster is dual band, so it will improve 3G data as well as voice calls (if needed), and supports most major North American carriers. 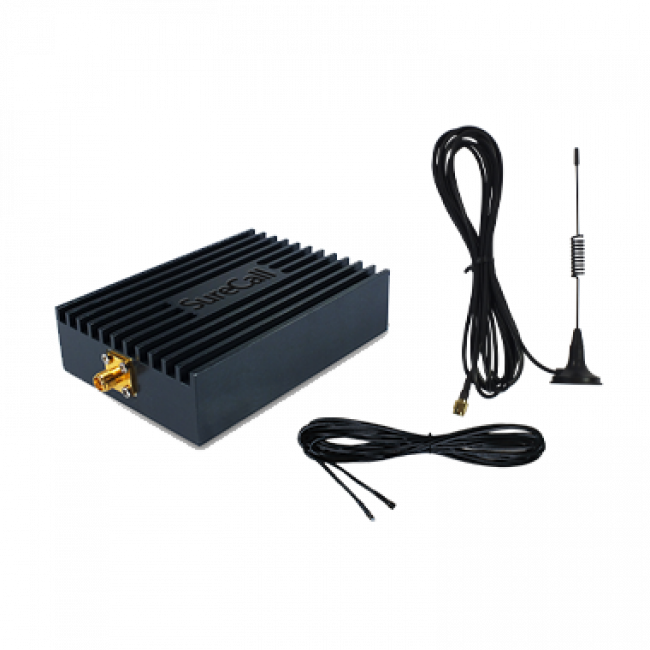 The SureCall SC-SoloI-15 Direct Connect M2M Signal Booster Kit is designed to receive a 3G signal from most any carrier in North America, amplify it, and pass it directly to a device or machine that needs a better 3G signal. 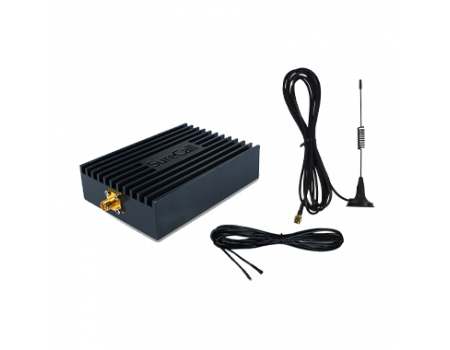 The SureCall SC-SoloI-15 Direct Connect M2M Signal Booster Kit is designed for use in the US and Canada. It may work in other countries as well. The SureCall SC-SoloI-15 Direct Connect M2M Signal Booster Kit will not work in most European, Asian, and African countries because the frequencies used there are different from what are used in North America. If you would like to confirm if the SureCall Direct Connect will work for you, please first contact your carrier to find out exactly what frequencies are used in your area, then contact us and include those frequencies in your question.